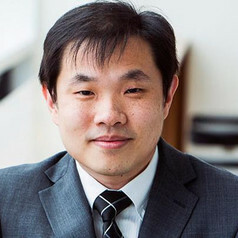 Dr. Eric Lim is a Senior Lecturer in the School of Information Systems and Technology Management at UNSW Australia Business School, University of New South Wales. He holds a PhD in Business Administration from Simon Fraser University (Canada), a Master of Science in Information Systems from the National University of Singapore (Singapore) and a Bachelor of Communication Studies degree with Honors from Nanyang Technological University (Singapore). Eric’s research interests include FinTech, Blockchain, Bitcoin, Payment Solutions, Digital Innovation, Sharing Economy, Big Data, Internet of Things. Eric has worked on research projects in collaboration with a number of public and private organizations in various countries including the Infocomm Development Authority of Singapore (IDA), the Inland Revenue Authority of Singapore (IRAS), Siemens, Capgemini, ING Netherlands and Gemeente Groningen. His research has been published in leading academic journals such as Information Systems Research, Journal of the American Society for Information Science and Technology, the European Journal of Information Systems and Decision Support Systems among others.